Maximize the opportunities to become a Product Manager. Experience and training put you ahead of the competition. Upon completion of the course you will be able to show your qualifications to your professional network by adding your certificates to your LinkedIn profile. You also have the option to download and print your certificates. According to Glassdoor.com, the average salary for product managers is $118,962. This number can be higher depending on your location, company and previous experience. The product management training course consists of 40 hours of class time and 16 hours of guest lectures during 8 weeks. In addition to the classes, plan on spending 3-5 hours outside of class each week working on homework assignments about your product. 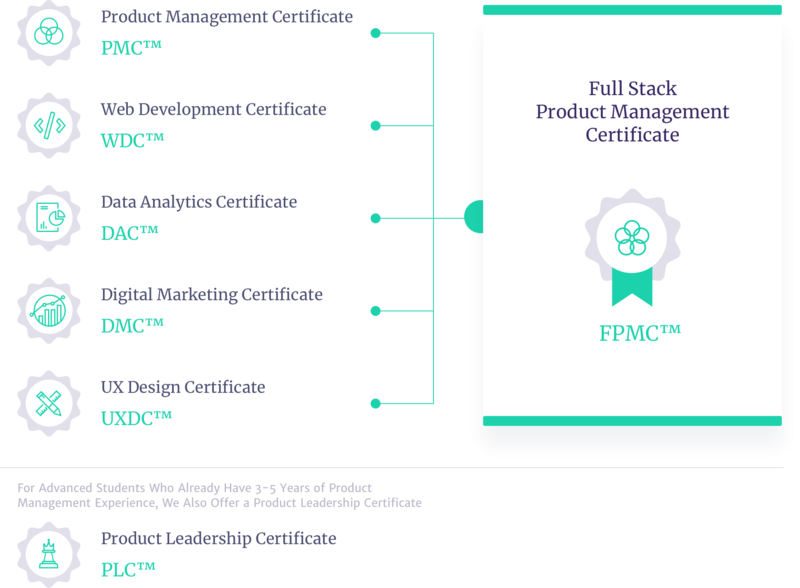 What is the Product Management Certificate™? When product management was first introduced, the only available training was in the form of articles, presentations, and books. By reading these resources, many grasped the iterative nature of product management but missed the principles and practices that are necessary for successful implementation. 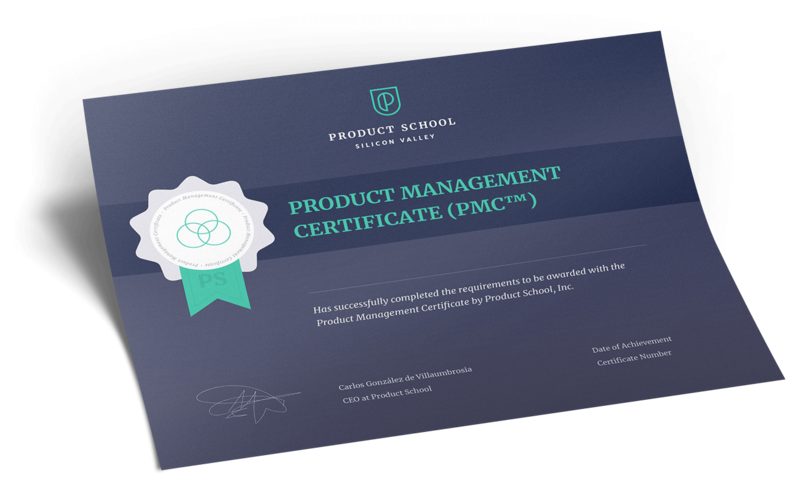 In response, Product School developed the Product Management Certificate (PMC™). We welcome applications from talented professionals who live close to one of our 15 campuses worldwide or willing to study online.